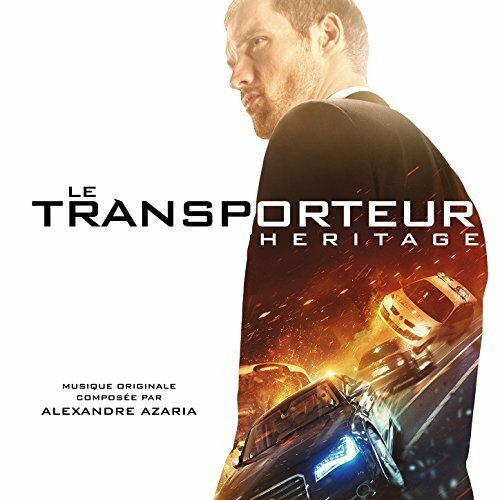 Music composed by Alexandre Azaria. Frank Martin, played by newcomer Ed Skrein, a former special-ops mercenary, is now living a less perilous life – or so he thinks – transporting classified packages for questionable people. When Frank’s father (Ray Stevenson) pays him a visit in the south of France, their father-son bonding weekend takes a turn for the worse when Frank is engaged by a cunning femme-fatale, Anna (Loan Chabanol), and her three seductive sidekicks to orchestrate the bank heist of the century. Frank must use his covert expertise and knowledge of fast cars, fast driving and fast women to outrun a sinister Russian kingpin, and worse than that, he is thrust into a dangerous game of chess with a team of gorgeous women out for revenge. The movie soundtrack of The Transporter Refueled will be released on September 14, 2015 by EuropaCorp.